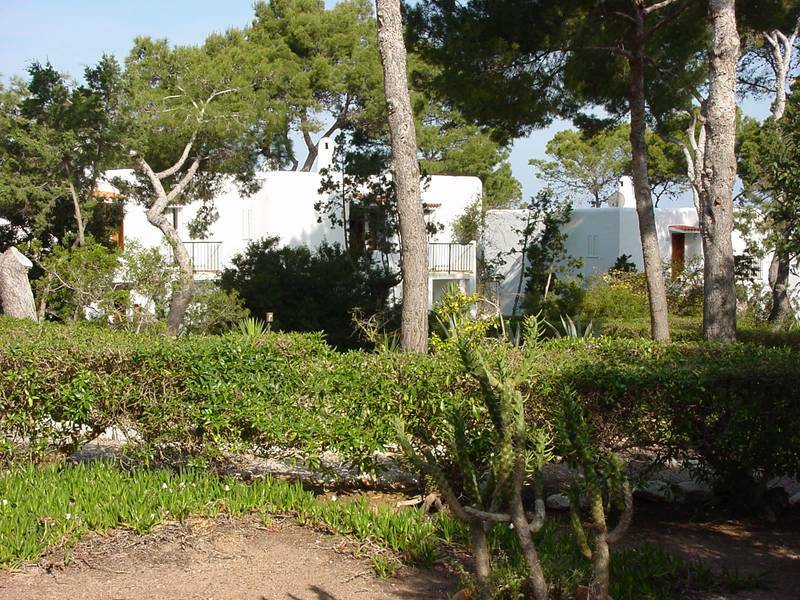 Club Aquarium is set in the midst of pine forests, just a short walk from Cala Vadella with its marvellous sandy beach. The best choice for your family holiday! Cala Vadella is famous for its magnificent sunsets and its shallow water, making it an ideal place, particularly for children. 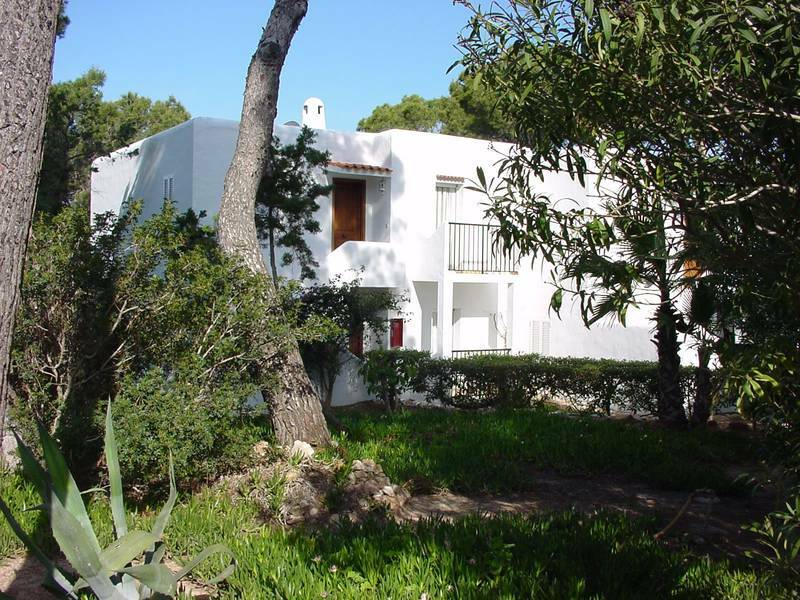 Club Aquarium is in the green and peaceful coastal area of the southwest part of Ibiza, just a few minutes on foot from one of the most beautiful bays on the island. 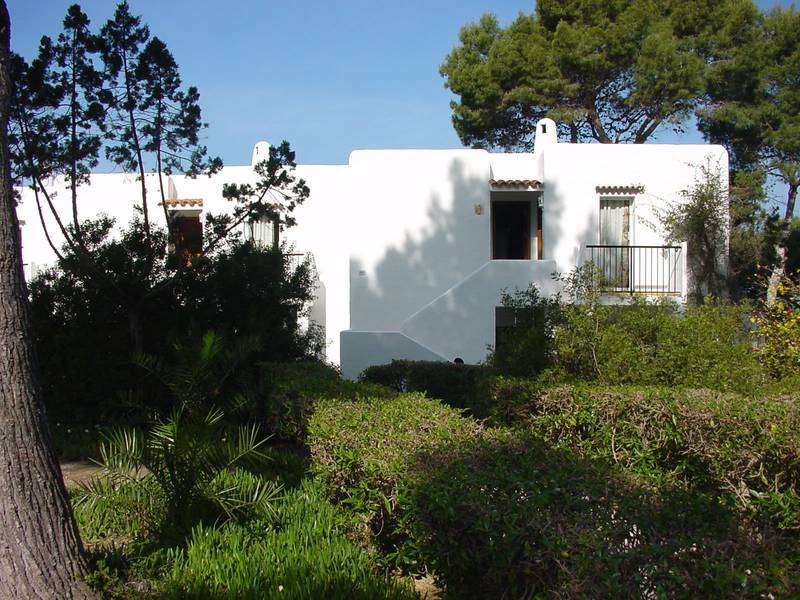 The spacious apartments are in a large complex with beautifully cared for gardens, surrounded by pine trees. Facilities include a tennis court and a children's playground. As its apartment buildings have a maximum of 2 or 3 floors, Club Aquarium is different from most other hotel establishments. 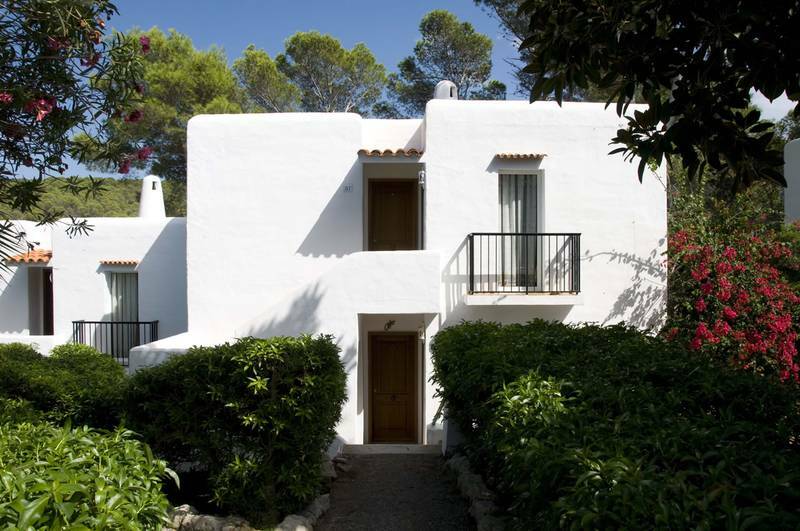 Our philosophy is to offer a personal, individualised service, and not just mass accommodation. 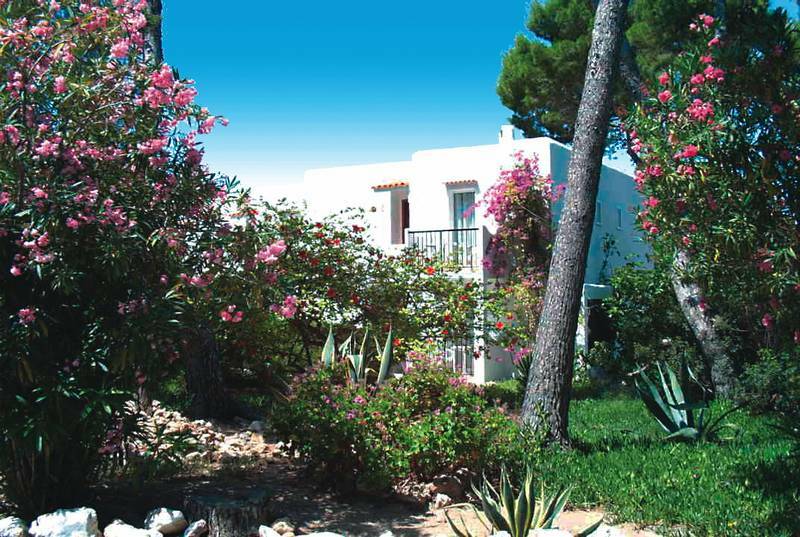 The extensive complex has large spaces to enjoy your holiday, whether on your own or with your family and guarantees that you can rest in a relaxed atmosphere far from the mass tourism! You can choose the apartment according to the needs and size of your family. There are apartments for 2 to 3 people that have a bedroom with 2 single beds and a sofa-bed in the living room. 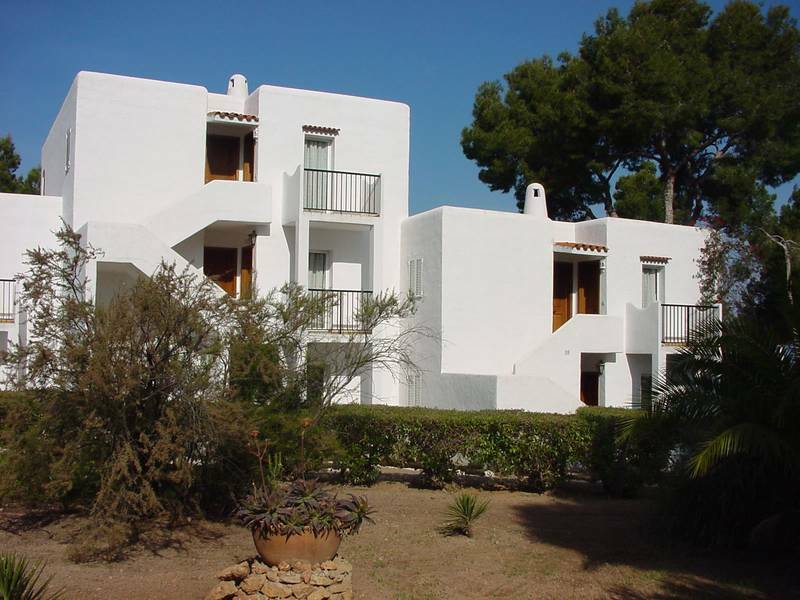 You can also hire an apartment for 4 to 5 people which has an extra bedroom with an individual entrance. Doubleroom or Singleroom without Kitchenette. 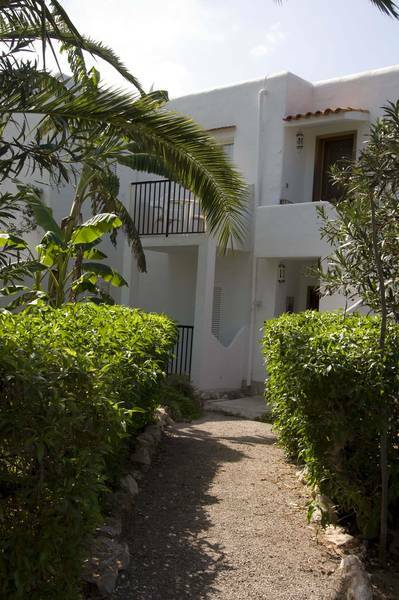 All the apartments have a bathroom with a shower or bathtub, an open plan-kitchen, balcony or terrace and air conditioning. Choose the meal plan that suits you best: You can organise your meals yourself or choose half board which includes a buffet breakfast and supper. Breakfast will be served in our air-conditioned restaurant; you enjoy the supper in our contracted restaurant cana sofia directly at the beach with view on the sea. Enjoy the Mediterranean sun on the terrace around our large swimming pool! There are many beach umbrellas and sun loungers available and we serve delicious refreshing drinks at our lively Pool Bar. Paradise for the little ones: An exclusive swimming pool just for the children! Good vibrations and fun guaranteed! In July and August, our event organisers provide daytime and evening activities so that you will never be bored. 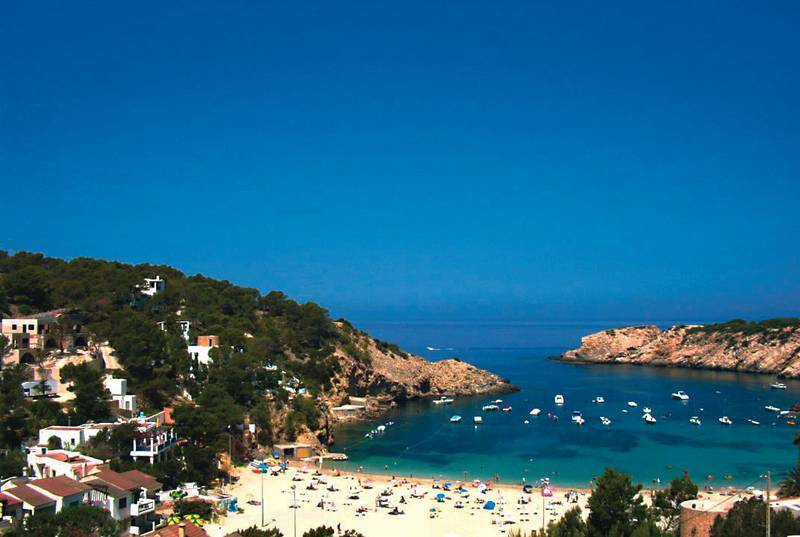 Club Aquarium is in one of the most beautiful coastal areas of Ibiza, in Cala Vadella, a protected cove with a shallow, sandy beach and intense blue, crystal clear water. A paradise especially for children! On the beach there is a diving centre, a windsurf school and a Jet Ski rental service; you can also explore the beautiful bay on a pedalo. The bars and restaurants are open well into the night. It is a very popular holiday place with a relaxed atmosphere that encourages people to get to know each other and to make friends. Games and fun at the pool or on the beach, entertainment in the evenings, a peaceful environment with beautiful landscape, trips to discover the beauty of the island, etc. 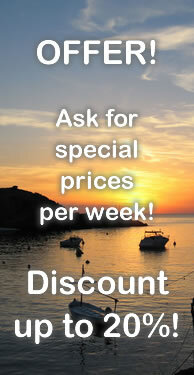 Come and visit us at Cala Vadella! You will find peace and quiet at Club Aquarium and will be able to enjoy the peaceful side of the vibrant Party Island Ibiza.